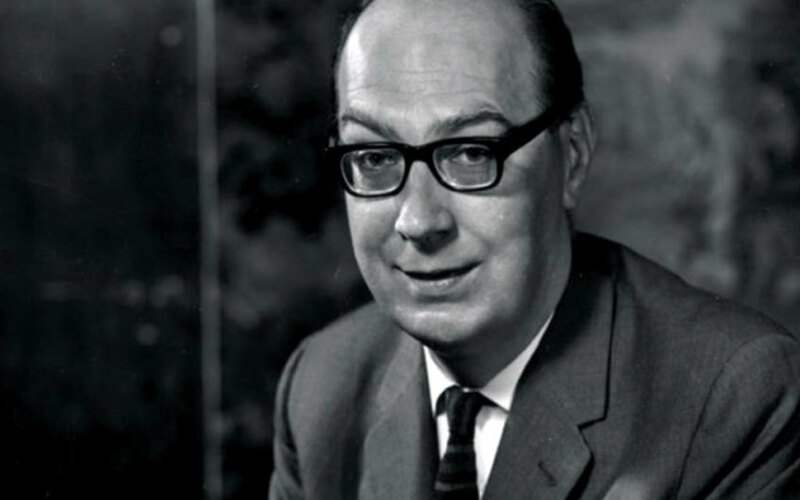 Kingsley Amis called Philip Larkin the best letter-writer of his generation. Yet one might think that letters the poet wrote habitually to his immediate family, published last from the rump of his archive, would be the least interesting. Not so. James Booth’s superbly edited selection, Letters Home 1936-1977, proves to be a revelation in several respects. The early letters, those written while at school in Coventry or from Oxford, show the young Larkin reporting back as the eagerly attended darling of the family. There is no sign of the disgruntled teenager or the distant undergraduate, let alone the author of This Be The Verse. His mother still handles his laundry, and his father fills in his application forms. In the few surviving letters to his sister, Kitty, he is more rhetorical, trying out now Audenesque descriptions of college gardens, now bursts of Lawrentian rage. But it is with his father, Sydney, whose clipped, no-nonsense style he reproduces, that he discusses his reading and literary projects as well as those of his friends. They exchange and collect ‘advanced’ books together: works by Katherine Mansfield, the Powys brothers and Henry Green. Sydney confidently pronounces Wavell’s Other Men’s Flowers a masterpiece. These are all tastes that would last the son a lifetime. Over the mother’s head, they discuss the price of cameras and the intricacies of union membership. It was from his father that Larkin inherited his taste for solitary bicycle rides. And all this mutual admiration continues uninterrupted and untroubled until Sydney’s death of liver cancer in March 1948. His father’s death suddenly removed Philip’s status as favoured child and thrust on him, as he remarked to his school-friend Jim Sutton, the duty to ‘become an adult’. His subsequent letters to his mother, Eva, which form the longest unbroken span of this 600-page volume, have a very different character. In the joint letters of his student years, she had been ‘Mop’ to Sydney’s ‘Pop’, and was cast in a busy domestic role. He consults her about clothes, rationing, conditions in his lodgings, his hay fever, and cleaning and mending – Larkin was a lifelong darner of socks; among the illustrations is a photograph of his handiwork. He reports his successes and news of his friends – and this continues for a while. It is with his mother, too, along with his sister, that he indulges the dandyish side of his nature. There is considerable comment on the choice and colour of his ties, and writing paper and other points of design. This artistic side is also evident in the often brilliant cartoons that adorn the letters – a notable feature of the collection. From the beginning, the letters had contained rough sketches but, in 1943, he invented the ‘creature’, a whiskery blob (‘Yes, I do look like a sea lion, don’t I? I’m not though: I’m a CREATURE’) that served as sort of portrait-signature. A few years later, the creature spawned a mother creature, distinguished by her mob cap – an allusion to ‘Mop’ – and thereafter the duo provide a touchingly comic marginal commentary on the activities and relations of mother and son. Later, still, he began to address Eva as ‘My very dear old creature’, a style he maintained until the end. This joy in creaturely existence – amid the familiar grumbling – is a constant theme of the letters; Beatrix Potter was another lifelong taste. Larkin is always urging his mother to keep warm or enjoy a glass of port or see what’s going on in the garden. Although comfortably off, the widowed Eva found little to occupy her beyond household chores and was prone to depression, part of which was a debilitating fear of thunderstorms. This helplessness could induce rage in Larkin but, for the most part, he cherished it as expressing a nature shared. Returning to the poems in the light of these letters, one sees a clear divide. There are those poems, bequeathed by the death of the father, about hte anguished adulthood of work, money, property, marriage, social life, not being selfish, and doing as one ought. And there are those more plainly lyrical and sympathetic poems – about animals, landscapes and the passing generations (whether of trees, lambs or holiday crowds), in their creaturely ignorance – that pertain to the mother.